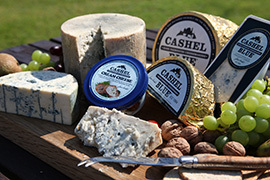 Cashel Blue wins Gold at the World Cheese Awards in San Sebastian! 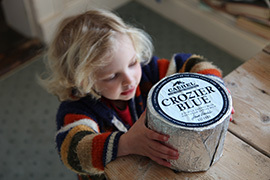 Crozier Blue Is Only Irish Cheese to win SuperGold at World Cheese Awards! We’re off to the Bath Fine Cheese Co. Festival! We have just received Origin Green Certification! What a start to 2014! Sunday Time Article on Irish Cheese "Blessed Are The Cheese Makers"
Come and see us at the National Ploughing Championships 2012! Crozier Blue cheese salad dressing, cobb salad, no bake blueberry pie! Grilled peach, bacon & cashelblue salad with spinach, rocket & toasted walnuts. 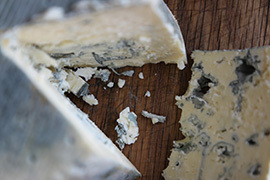 Buy The Blues in Murray’s Cheese Retailers! We’re At the Volvo Ocean Race! Cashel Blue gets a mention in the London Evening Standard: The Teaboys Article!